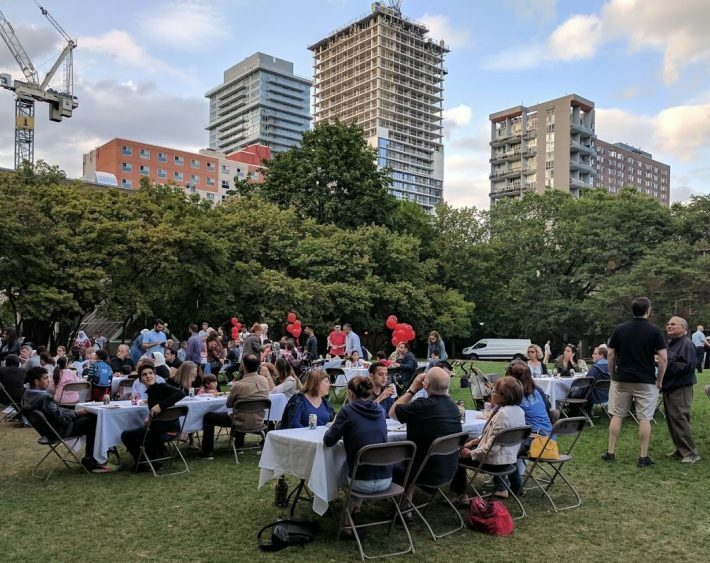 On 24th August, more than 150 people gathered at Ryerson University (which is also SI-DRIVE partner) to celebrate the successes of the Ryerson University Lifeline Syria Challenge (RULSC), Canada’s first university-driven social innovation response to the Syrian humanitarian crisis. Launched in summer 2015, the RULSC brought together supporters from higher education, the private and non-profit sectors to create a social innovation model that reinvigorated Canada’s private refugee sponsorship system. As of August 2017, the RULSC has welcomed 326 Syrian newcomers to Canada, with another 110 persons scheduled to arrive. Through the RULSC, Syrian newcomers receive social and financial supports for their first year in Canada. Private sponsors commit to fundraising to support a sponsored family, while student volunteers draw on their academic and personal backgrounds to provide key supports to those who arrive through RULSC. For example, finance students provide financial literacy training, Arabic-speaking students provide translation services, and students from across campus act as Peer Mentors for newly arrived high schoolers. Since its launch the program has raised $4.8 million CAD and engaged more than 500 student volunteers. While being a private refugee sponsor is officially a 12-month commitment, the relationships built through RULSC are poised to far exceed the yearlong timeline.